The House has passed six spending bills to fund the government since the shutdown started more than three weeks ago. The state of play: President Trump has refused to sign anything without border wall funding. 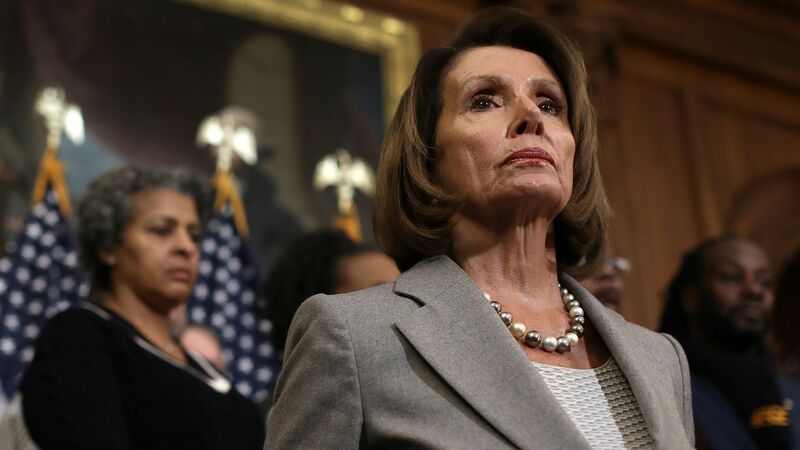 Democrats have refused to provide border wall funding. Senate Majority Leader Mitch McConnell will not bring anything to the Senate floor that doesn't have Trump's approval. All the while, the longest shutdown in history carries on, leaving federal workers and some military personnel to suffer without paychecks. January 3: House passes two spending bills to reopen eight federal agencies on the first day of the Democratic majority. January 9: House passes a financial services spending bill, with 8 Republicans joining the Democratic effort. January 10: House passes two funding bills to reopen the Departments of Transportation, Housing and Urban Development, Agriculture, and more. 12 Republicans break with Trump to fund HUD and the Department of Transportation.